At approximately 13.35 today (Thursday 10th of December) an accident occurred close to the Toyota Showroom in Baan Taling Ngam. 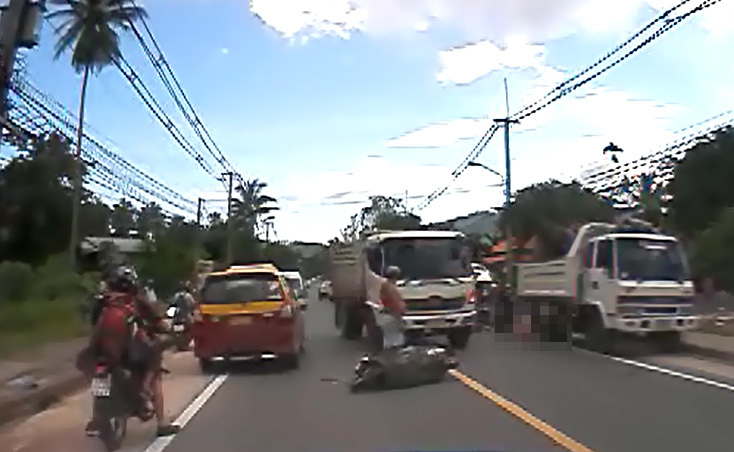 Eye witness accounts of the incident suggest one foreigner who appeared to have been riding a motorbike was seriously injured in a collision with a small truck. A second foreigner was at the scene of the accident, it is unclear whether he was a pillion passenger or ran to the scene to help the injured man who is in his early twenties and has a small goatee beard. Three ambulances quickly arrived at the scene. 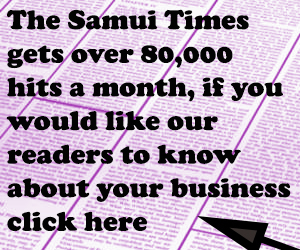 The Samui Times will bring more updates as we get them. 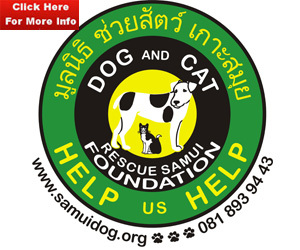 47 year old bar owner falls down some stairs to his death in Phuket.